to keep a sort of private academy in St. Mary Magdalen’s | parish, where he held declamations, disputations, and exercises, as in the other colleges and halls, and his auditors were numerous, particularly of young men of popish principles; and several men of eminence came from his school. His printed works were also held in considerable estimation. His learning was various, but he inclined most to medicine, and was admitted to his doctor’s degree in that faculty in 1589. In 1574 he married Elizabeth, the widow of one Dobsou, keeper of the Bocardo prison. 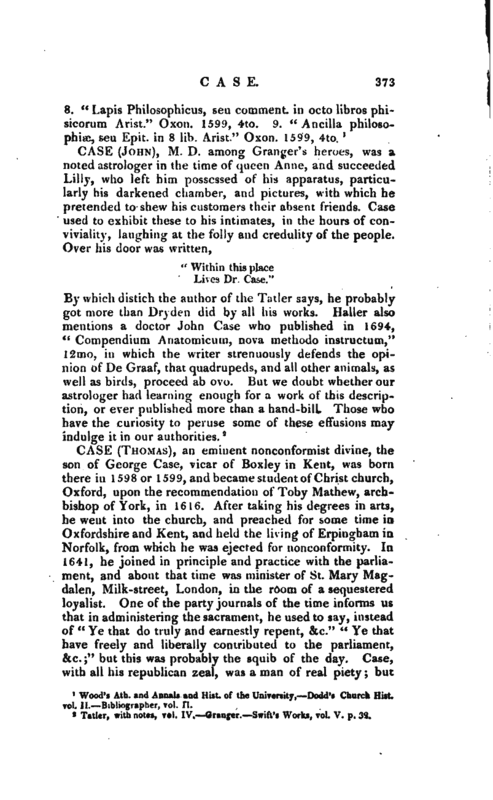 By his lectures, and by his medical practice he acquired a considerable fortune, much of which he bestowed on pious uses. 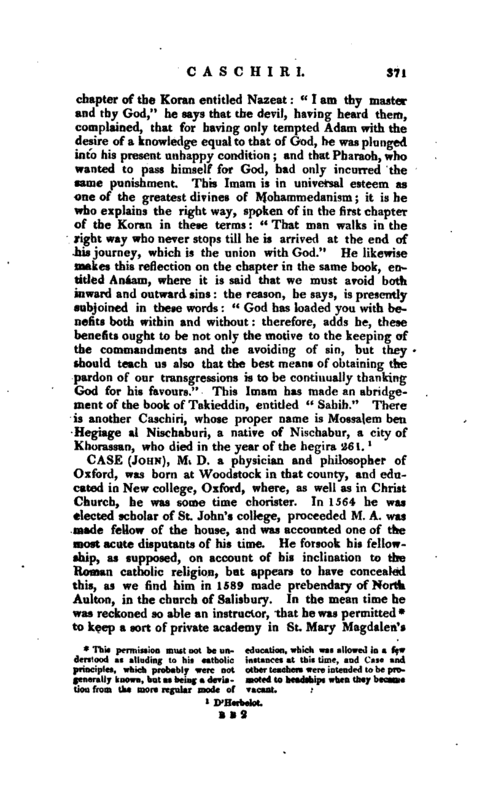 He was a man, says Wood, “of an innocent, meek, religious, and studious life, of a facete and affable conversation; a lover of scholars, beloved by them again, and had in high veneration.” Pits gives nearly the same character. 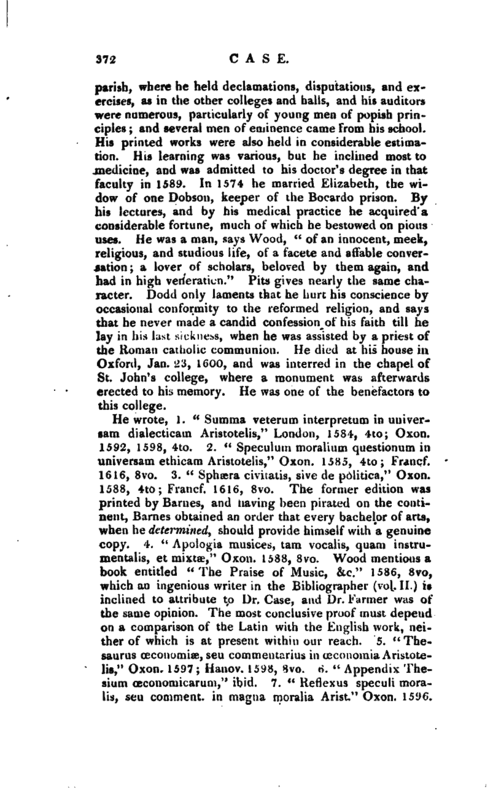 Dodd only laments that he hurt his conscience by occasional conformity to the reformed religion, and says that he never made a candid confession of his faith till he lay in his last sickness, when he was assisted by a priest of the Roman catholic communion. He died at his house in Oxford, Jan. 23, 1600, and was interred in the chapel of St. John’s college, where a monument was afterwards erected to his memory. He was one of the benefactors to this college. Wood’s Ath. and Annals and Hist, of the University, Dodd’s Church Hist, vol. II. Bibliographer, vol. II.